Norton family only partially time logging. 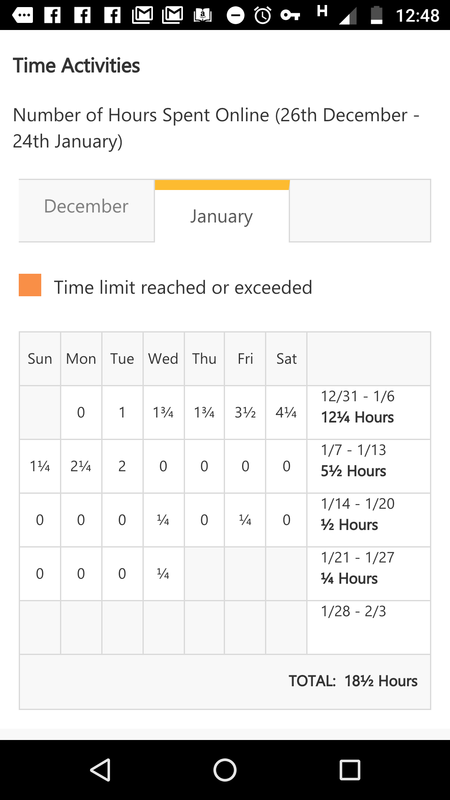 If I pull us the time tab, I show minimal usage, like 13 hours over an entire month (some days show zero use some show a small amount of use) . 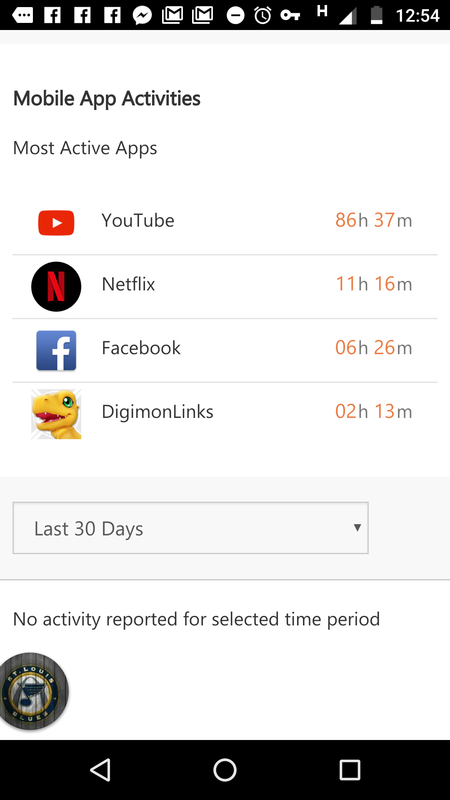 If I pull up apps tab, it shows 100+ hours in the same period. We don't seem to have the same information in related tabs. Is something not being tracked and reported to me? Thanks. Re: Norton family only partially time logging. Please share the following details to investigate the issue further. Please share more details about the issue as requested in previous post. I am contacting you to report that my Norton family is not functioning properly. It fails to restrict my child from the use of the internet after the allotted time ends. It also allows continued use the device after it is locked. The device is currently locked and he is actually online right now. In addition to this the text logs are inconsistent even though the children both use the text messaging on the device. When I compare what is logged in Norton family to the usage via the phone company I may see ten messages whereas Norton shows only two. The same is true for web pages in web support. I am not able to pull up December. It's only showing the tab for January. Also is there a way to pm my user name and not post it? Please share Norton Family account's email address via private message(You can find my email address under my profile) to investigate the issue further.